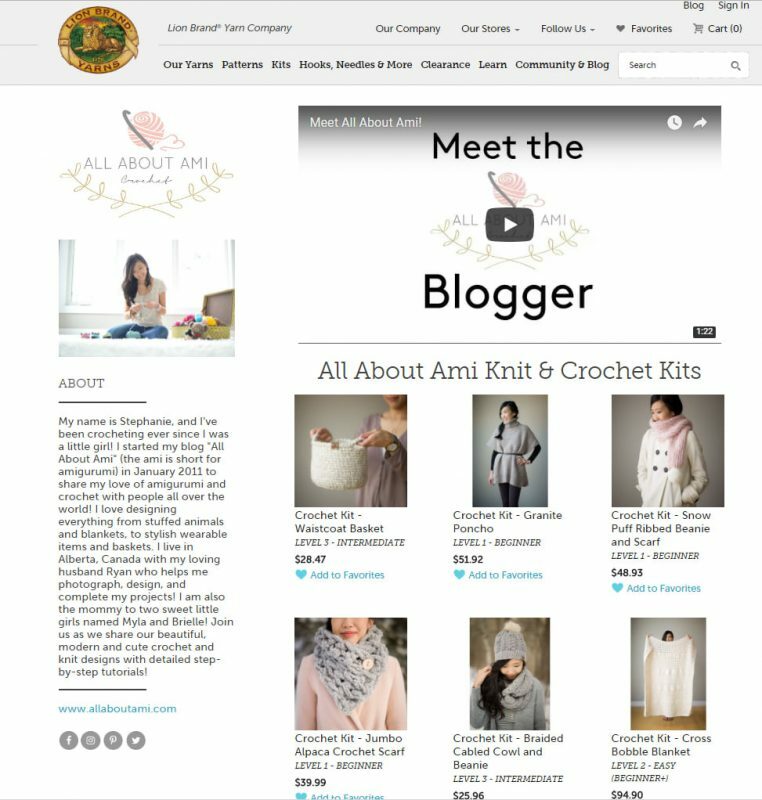 Find me on Etsy HERE, on Craftsy HERE and on LoveCrochet HERE! In these shops you’ll find inexpensive, beautifully-formatted, ad-free PDF’s of my patterns! Shop my kits on the Lion Brand Yarn website HERE! Each kit contains all the required yarn and a print out of the pattern! Are you curious what my favorite must-have tools are? 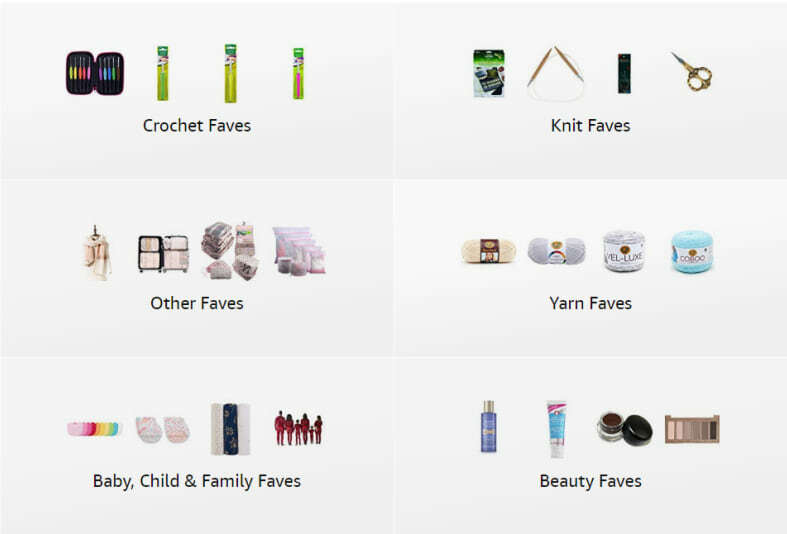 I have curated lists of my FAVORITE items from crochet and knit faves to travel, beauty and family faves in my Amazon storefront HERE! I have personally chosen each item and written a note as to why I highly recommend that item (including my favorite steamer that I use to block all my items)! 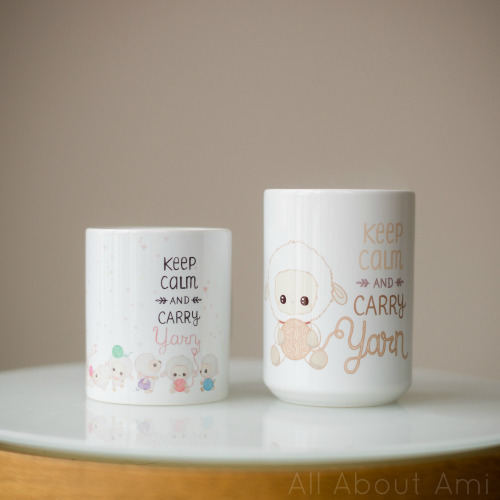 Check out the All About Ami Amazon Storefront HERE! “The Lambert Collection” is a labour of love featuring my amigurumi Lambert the sheep that I designed for Chinese New Year! It is a collection of tote bags, mugs, apparel and other items sold through Society6. 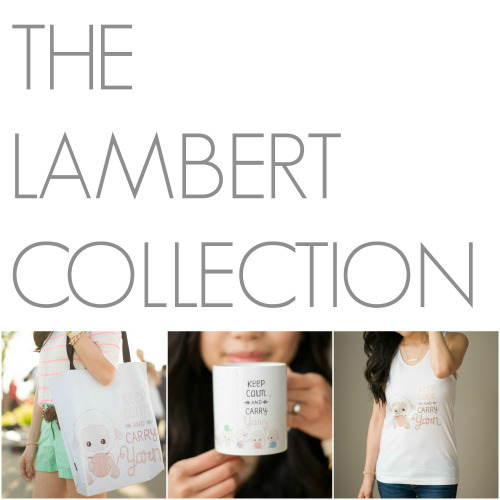 We designed two Lambert styles in collaboration with Vancouver artist Laura Uy of “Art + Soul Creative Co.” Both adorable designs incorporate Lambert and the phrase “Keep Calm and Carry Yarn” for all of us to proudly display our love of yarn, crochet and knitting! ALL profits made from “The Lambert Collection” are donated to charity to sponsor a classroom of children in Guatemala as we want to share God’s love with those around the world and be a blessing to others ❤ To read more about how we developed this collection, detailed descriptions of the products and where the profits will go, please see my full blog post HERE! 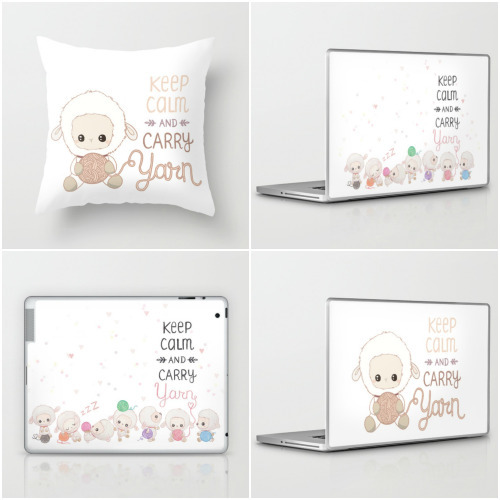 ***Society6 has monthly free worldwide shipping promotions and occasional sales (e.g. 20% off). Keep up to date with these Society6 promotions by signing up for their newsletter HERE or follow @TheLambertCollection on Instagram and I will keep you informed as well! 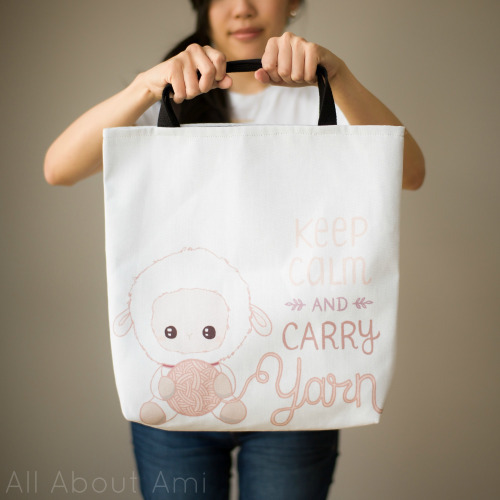 Happy shopping and don’t forget to “Keep Calm and Carry Yarn”!